Protected deep within the Late Pleistocene gravel bars of the Maas River, this is an EXTREMELY RARE complete fossil cranium (partial skull) of a FEMALE Ice Age extinct Giant Deer (Megaloceros giganteus). 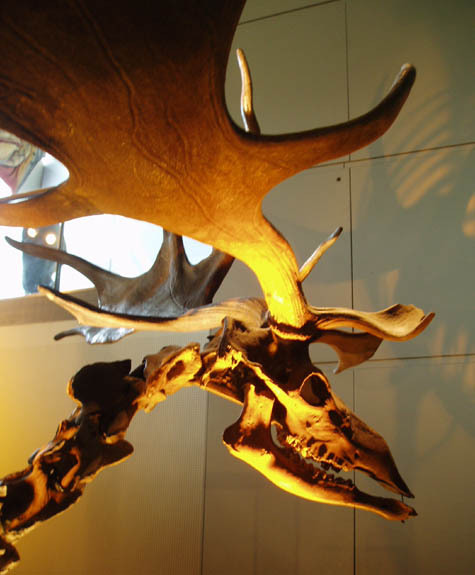 The skull indicates it is of an adult roe, lacking evidence of any antlers. Despite our extensive experience with European Ice Age Megaloceros fossils, this is the FIRST AND ONLY time we have handled a FEMALE cranium of this animal. 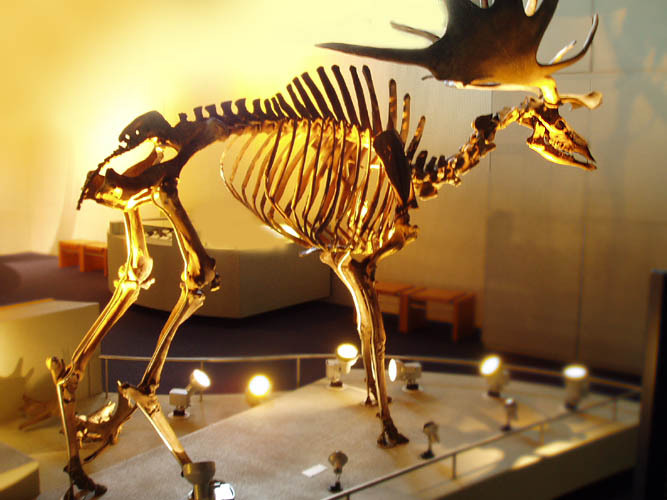 It may not look impressive compared to antlered male specimens but its rarity is immeasurable! For an advanced collection, this would be an especially scarce piece to own. The entire cranium portion of the skull is intact as you see above with very minor dredge damage. There is NO REPAIR OR RESTORATION so what you see is how this specimen was found. Detail and anatomy is very well preserved from the protection it once had deep in the gravel bed. Specimen shows superb preservation of the bone. IMAGES COPYRIGHT PROTECTED - PALEO DIRECT, INC.